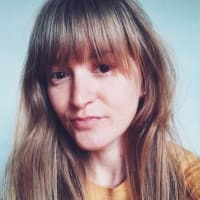 In this post, we're going to explore OOP in R as implemented by the R6 package. This post is part 1 of 2, and the end goal is to create an animated fractal tree with R6 & gganimate. 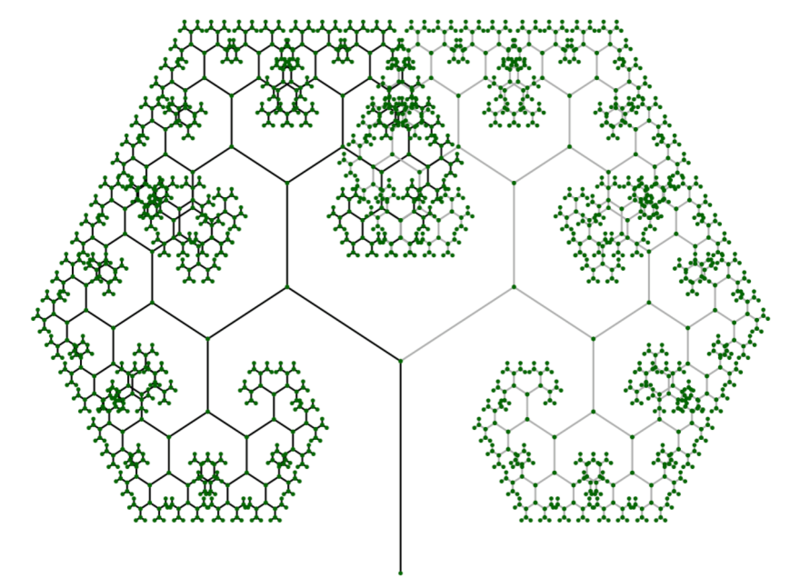 Today, we will be creating a static plot of a fractal tree and a series of R6Class objects to help get us there. The sketch above shows the basic design of the fractal tree we'll be creating as an R6 object; let's unpack it. 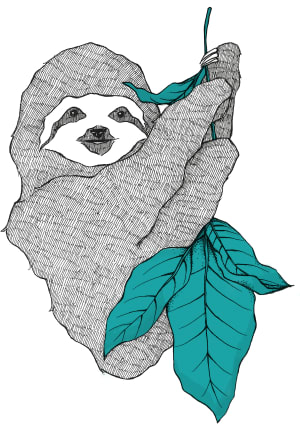 We'll have a vertical line as the trunk, and a series of branch lines that recursively sprout two at a time. Lastly, each child branch will have the same angle relative to its parent branch. Let's translate the sketch into the object structure that we'll be using. The way it's drawn up, we see that we'll be using two separate classes for the trunk and branches. The trunk and branches have a lot in common, so we'll be using the OOP concept of inheritance as implemented by R6. 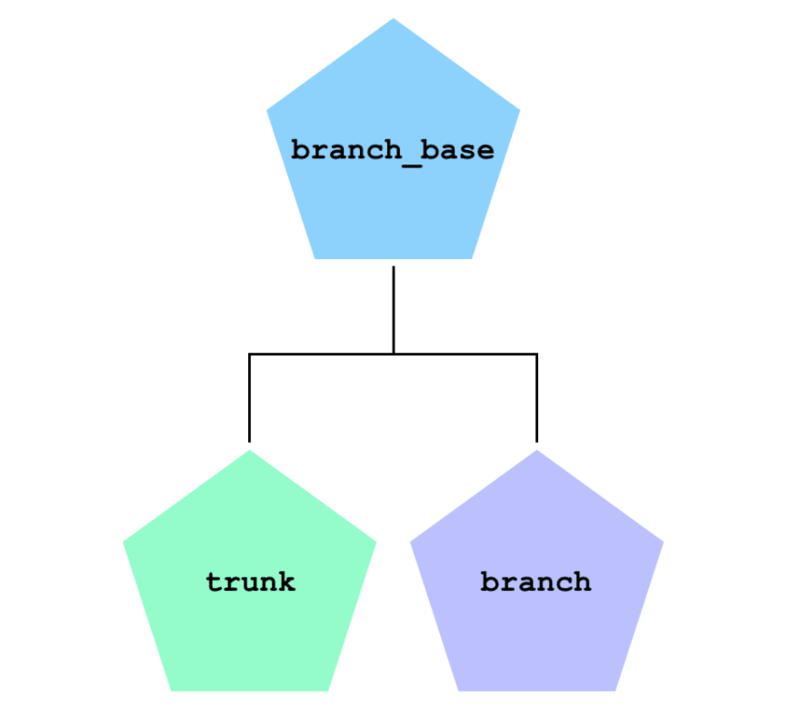 Below shows how we'll implement the trunk and branch classes using a base class and inheritance to stay DRY. We'll be starting in reverse order of how things were laid out in the design section. The code will be broken out into different sections for easier digestion. If you want to see all the code in one place you can view it here. The branch_base class will be the shared parent of our trunk & branch classes. So we want to pack it full of bits that they'll share. From an implementation standpoint, what they share is how they're going to be plotted by ggplot2. Each attribute that is initialized in public is an attribute that will be used to our plot method. Additionally, we use the active feature that will build a data.frame on the fly to represent our branches. Functions that are placed in active can be accessed as if they're static attributes. 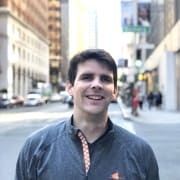 The trunk class inherits from branch_base, so we don't have to think about initializing our attributes or redefining active. To define the class, we add an initialize method that will be used to actually create instances of trunk. 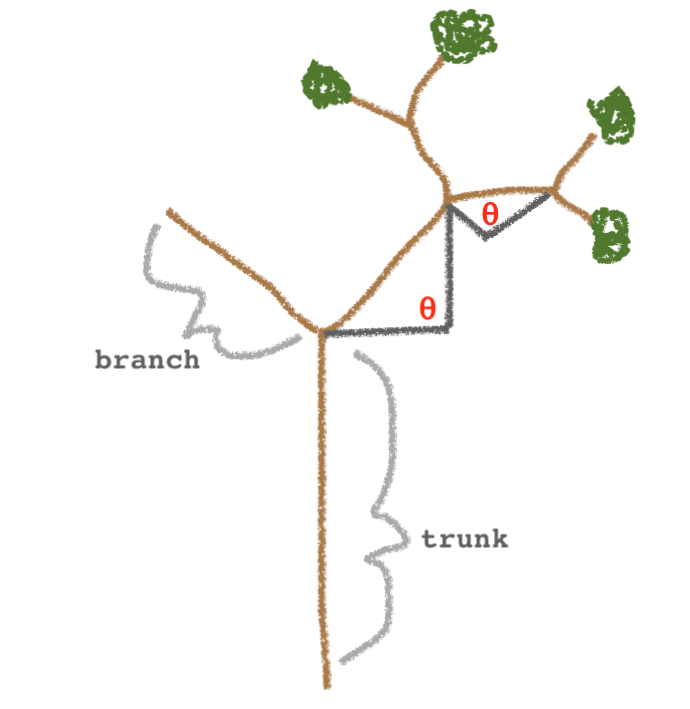 The definition of branch is similar to trunk, but a little more involved. When we need to create a branch, the info that we'll be given is where it should start, what direction it should go in, and how long it should be. With these bits of information, we can use some trig to get the branch's endpoint. The rest of the initialize method is very similar to trunk. 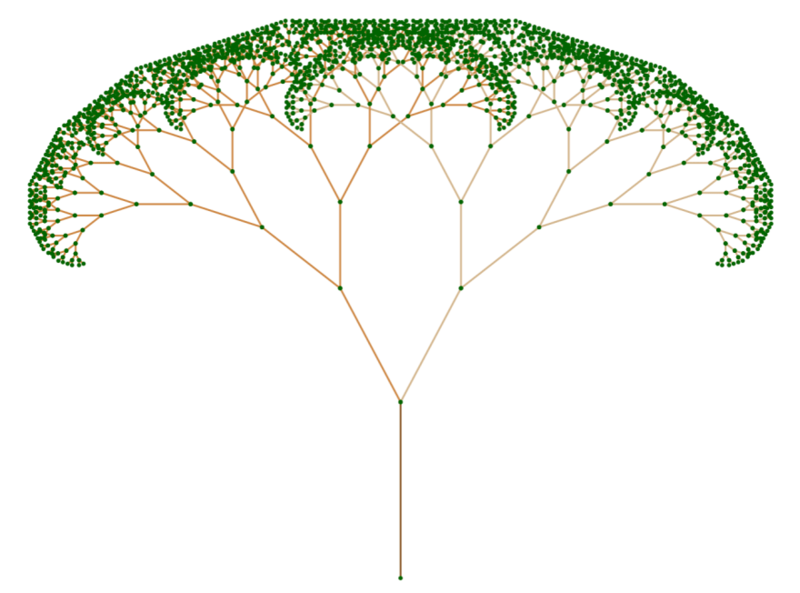 With trunk and branch defined we have the building blocks for our fractal_tree class. This class definition is going to be broken up into sections due to its length/complexity; the full definition can be seen here. The public section of fractal_tree consists of the functionality we need to create and plot our tree. The initialize method creates all the branches of our tree including the trunk. The private$grow_branches method is a recursive private method of our class that we'll define soon. The remaining public method is plot, which, unsurprisingly, will plot our tree. The contents of this method should look fairly familiar to those who are familiar with ggplot2. Thanks to our set up we are able to plot our tree with relatively little effort. Our private section consists of a single method, grow_branches. 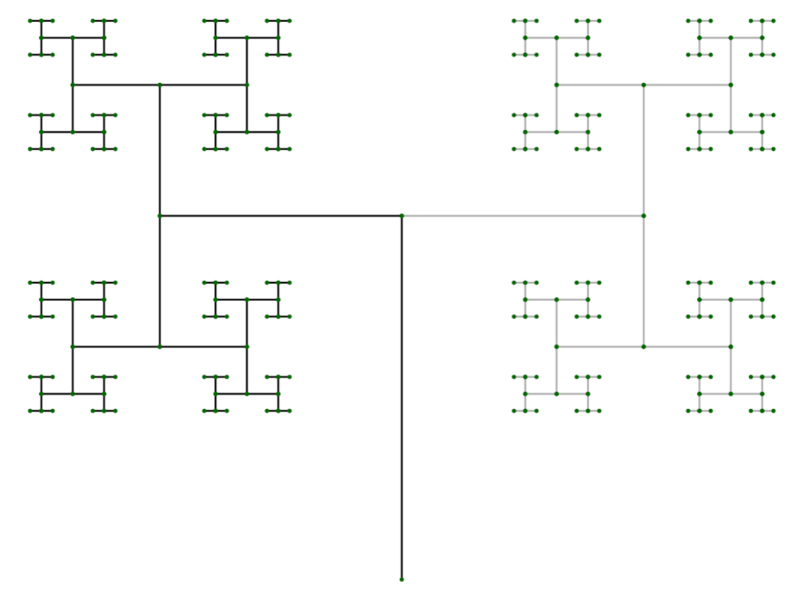 This method will recursively build out our tree forever if given a starting point and an angle. To avoid infinite recursion we've built in the min_len attribute that will serve as a stopping point. And that's it! 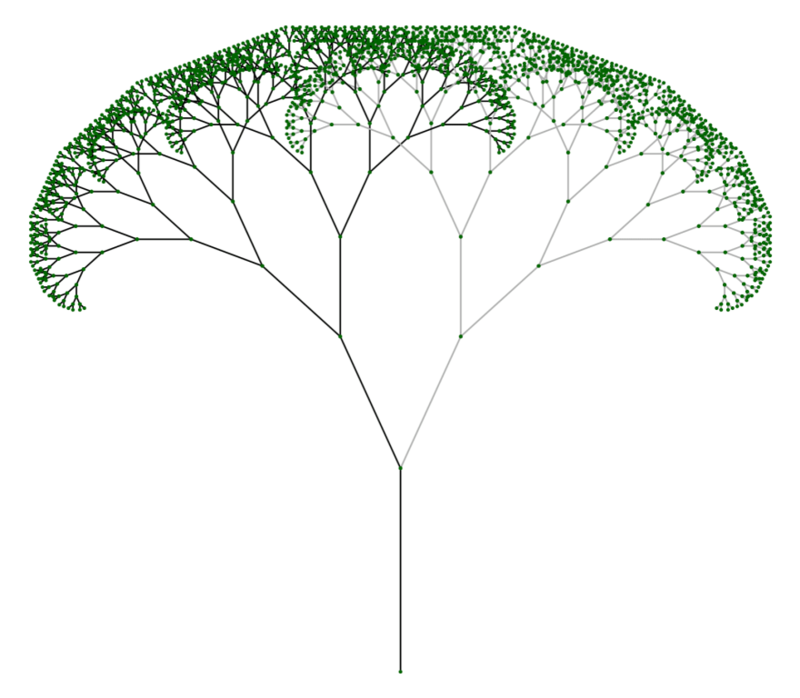 We now finally have all the pieces in place to create and plot a fractal_tree with R6 and ggplot2.